I have to confess I’ve never been brave enough to rock thigh-high or even knee-high boots up until this fall. Since I’m petite, I thought I wouldn’t be able to pull them off, but while I was browsing Public Desire’s website a couple of months ago, I was attracted to these boots, so I took a risk and ordered them! At first, I didn’t like how they looked with jeans so I styled them with a mini skirt and choker sweater. As I got used to how they looked on me, I started styling them with jeans and kinda fell in love. Not necessarily with a fitted t-shirt, which is my go-to outfit, but with bolder tops like this velvet wrap crop top or the red sweater below. 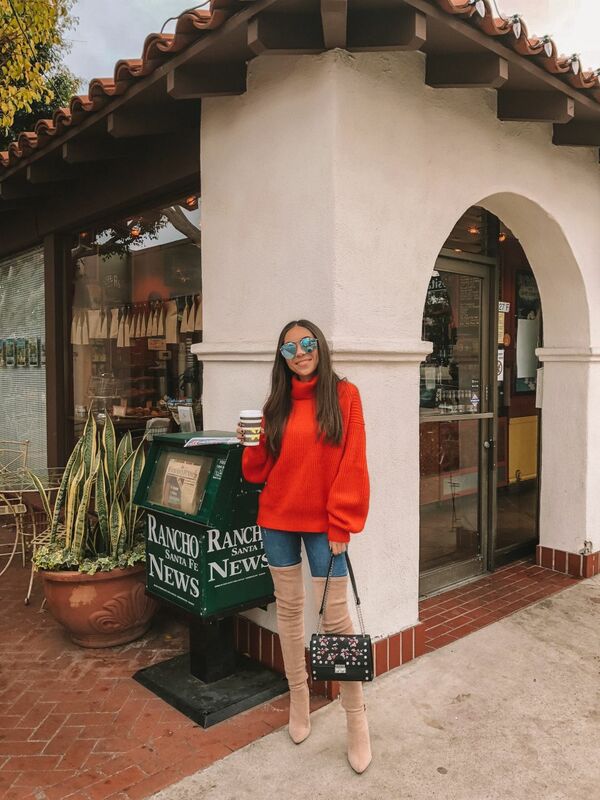 I think it’s all about proportions when it comes to styling over the knee boots and that’s why a crop top and a mini skirt works great – because they show a little bit of skin which elongates the torso. I would stay away from long jackets or trench coats and stick to sweaters, biker jackets or shorter jackets when styling over the knee boots. They would also work well with a sweater dress, t-shirt dress or a long and oversized sweatshirt/hoodie. This might be my next experiment for styling these babes. Stay tuned!